This is the Quest Viper Rocket Kit. This package includes twelve rocket kits, making it an ideal choice for a group of students, as well as any other group activities. The Quest Viper model rocket matches the simplicity of a single piece fin unit with the added complexity of parachute recovery. 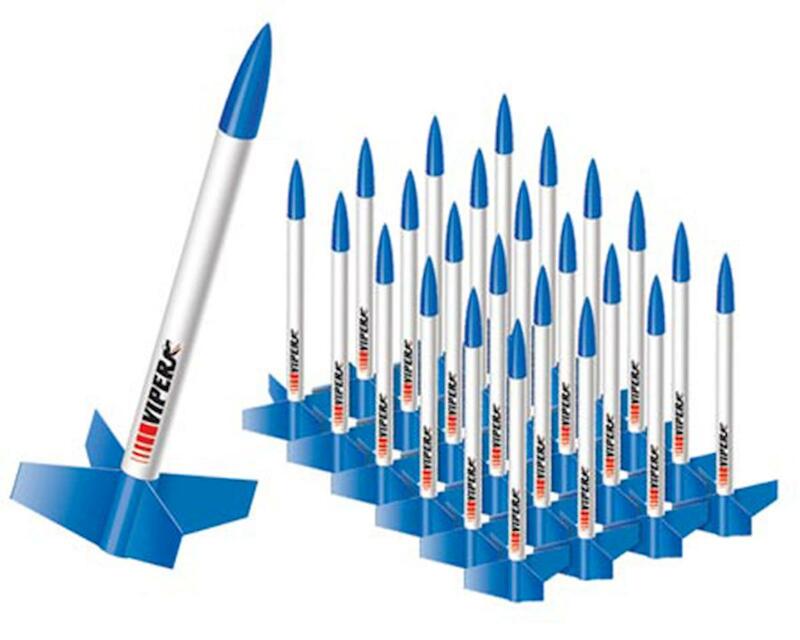 The Viper model rocket provides the perfect combination of challenge and precise flight. If you are working with students in middle school (and above) the Viper provides the perfect combination of challenge and precision flight. Note: The rockets shown may not be an accurate representation of the color you will receive. 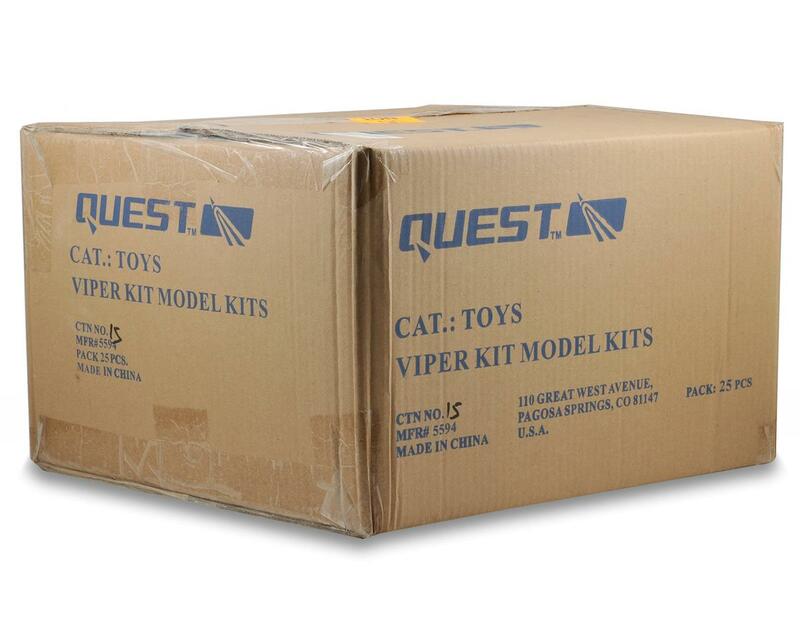 The Quest Viper Rocket Kit Value Pack is available in two colors; black or blue. Colors are selected randomly. If you would like a specific color, please contact our customer service department prior to placing your order and we will do our best to honor your request.